In Slovakia a dispute between Unicredit and the state has incensed. This could negatively affect the planned merger with a Czech affiliate in 2014. 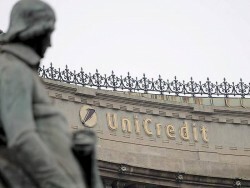 The Slovakian Agricultural Ministry, which holds a stake of 0.37 percent in Slovakian Unicredit, has announced to block the merger at the general meeting on Wednesday.